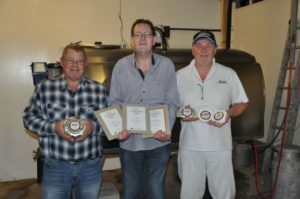 Arran Blue cheese, produced by the Island Cheese Company at Bellevue Farm in Blackwaterfoot, has proven once again that it is unbeatable by taking the top spot and winning the Best Scottish Cheese at the industry recognised World Cheese Awards. Held in Bergen, Norway, the awards has been in existence for over three decades and involves over 230 experts, from 29 nations, judging over 3,500 cheeses from across the globe. 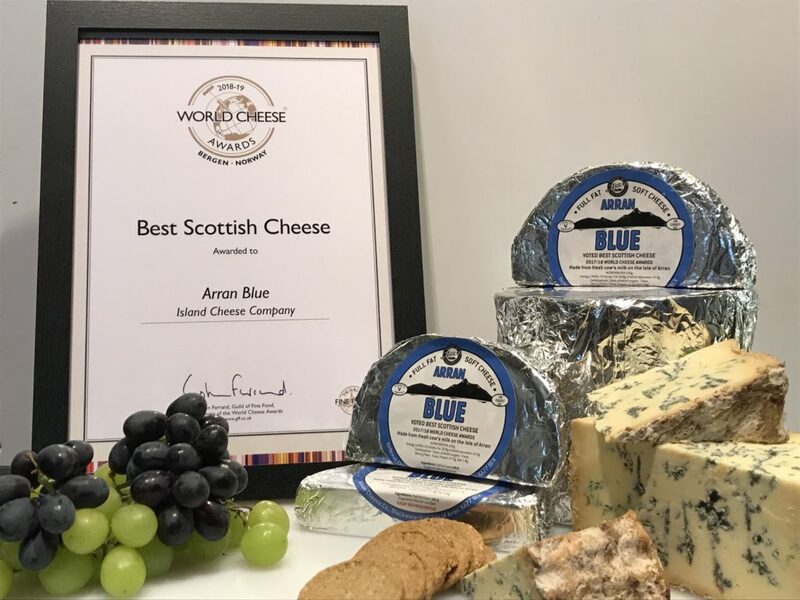 Judging the Arran Blue as the best that Scotland has to offer for the second year running, the pasteurised semi-soft blue cheese has also won gold awards for two consecutive years and is similar to the French Bleu de Auvern. Expertly crafted by Bellevue dairy manager, Calum Chaplin, the success of the small batch artisan producer is even more remarkable when considering the strong competition from far bigger producers across Scotland. While crediting the success of the Arran Blue to Arran’s unpolluted environment and the quality of Arran milk, the quality of the cheese is hugely influenced by the expert knowledge of the cheese maker who knows exactly when, and how, to adjust the formulas for the changing conditions, keeping a keen eye on the production process which will affect the rind, body, colour and consistency and the taste of the cheese. Island Cheese Company owner, Gordon Kinniburgh, said: ‘Best cheese in Scotland two years in a row, we must be doing something right. Arran Cheese Shop’s Gordon Kinniburgh and Bellevue Creamery’s dairy manager Calum Chaplin pictured last year, along with cheese technician William McNally, who have repeated their success by winning the Best Scottish Cheese Award .